Anna Alden will occasionally make a face or do something just like one of her siblings. They all look a lot a like (I think), but Little Miss A is her own woman! 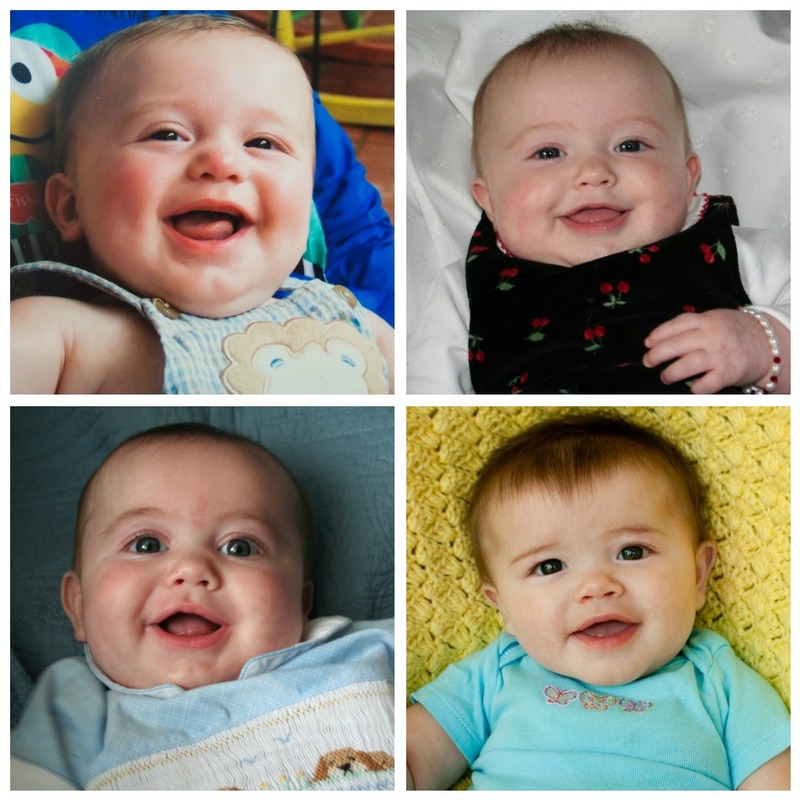 Below are similar pictures I have of all four of my kidlets at 5 months old. What do you think? Does she look like the others when they were her age? p.s. It seems like that first picture was 2 years ago, not 6. You know, waaaay back in the pre-digital photo days. She can not possibly be 5 months old already! Time flies!